Looking for somewhere to charge your phone, surf the web and grab a coffee? Forget Starbucks, HMV has you covered. Yes, that's HMV of selling CDs, DVDs, games and the odd bit of tech fame, not yet known for its prowess in the coffee-making field. The struggling retailer has announced plans to set up a kind of coffee house in its outlets to encourage people to come in, browse the internet, have a drink and maybe buy a thing or two while they're there. The so-called "social media café", which will launch in the company's Cambridge store this weekend, seems to have earned its moniker purely by providing Wi-Fi with which you can go on Facebook or Twitter. No doubt there will be a hashtag. As well as the electronic embellishments, the stores will feature live music and a "community noticeboard". 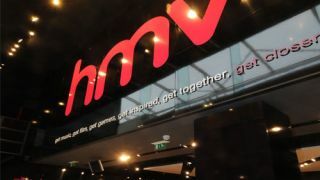 Yes, poor old HMV is realising that to make it in the brave new digital world it has to act more like one of the independent record stores that it put out of business years ago.